Will is an engaging speaker with a mission to motivate people, companies, golfers, and entrepreneurs. His journey from surviving the 2004 tsunami to his passion for coaching the game of golf, Will is committed to changing lives. This program is targeted to any audience who is looking for improved results and greater outcomes in their life and business. To get results, you must have good reasons. No matter how great an idea, without a good reason a coach’s new program will fail. Will Robins helps coaches define their personal story, vision and purpose – their “why.” By understanding their personal “why,” coaches are able to overcome the self-imposed mental hurdles and barriers in transitioning to Will’s coaching model. 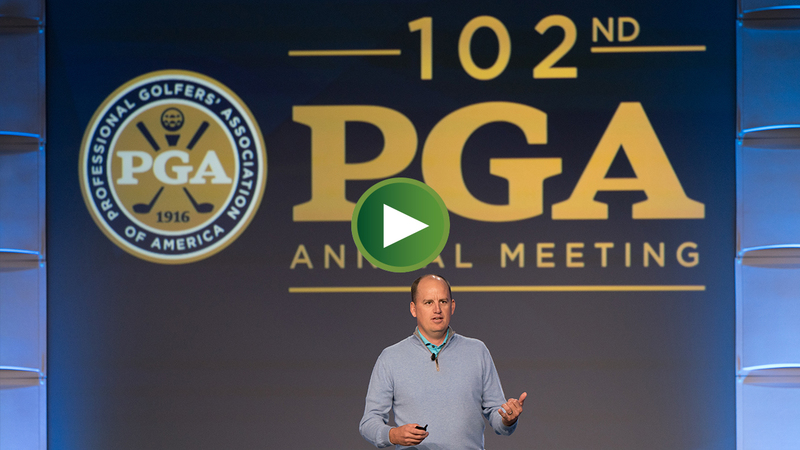 Understanding what their “why” and their bigger purpose is in life "on and off the course"
This talk includes an extensive question & answer session with the audience. “Everyone has a tsunami in their life. This program is targeted to any audience who has overcome (or working to overcome) a seemingly insurmountable obstacle in business and/or life. Aspiring golf professional Will Robins was honeymooning on Ko Phi Phi Don Island in Thailand when he and his wife were swept out to sea by a tsunami caused by the 2004 Sumatra earthquake. Due to injuries sustained, Will was forced to give up his competitive golf career and sponsorships. Since the horrific tragedy, Will continues to dedicate his life to those who did not survive the tsunami, and has found peace in teaching the game of golf to others while sharing his amazing story of perseverance, hope and resilience. Will’s story will inspire employees, clients and teams to overcome seemingly impossible objections and challenges, and come out as better people. Golfers and professionals continue to use Will’s principles in their life and business environment to achieve a healthy and positive direction. This program is targeted to any audience looking to make positive improvements and changes to their well being to create an extraordinary life. Will Robins combines his professional golf experience and lessons learned from his inspirational journey of surviving the 2004 Asian Tsunami to help transform people’s perspectives and make lasting changes. He inspires and teaches clients to take accountability for what they can control and how to make changes that will improve their performance and wellbeing. This program is targeted to any audience who is looking to unlock their full potential and the ability to improve performance when it is most needed in business or life. Whether you’re a salesperson or CEO, companies rely on their employees to perform when it counts. Will Robins successfully breaks down mental barriers that both professionals and golfers struggle with in a never-ending drive for improvement. Will focuses on teaching the three keys to unlocking true potential. Will’s career includes training and mentoring coaches worldwide with clientele in the United States, Canada, New Zealand, South Africa and Continental Europe. The coaches he trains deliver a superior product to their customers while doubling their hourly revenue, which is a true revolution in the golf industry. The golfers’ results are outstanding, and Will’s coaching model guarantees an average golfer will drop 10 shots in 10 weeks. This program is targeted to any audience who is looking to increase performance in their business and/or life. In this interactive program, Will Robins helps professionals remove their sales mentality and focus on building relationships, listening to customers and creating personalized improvement plans and packages to help accomplish their goals.